Wolf in sheep’s clothing, sleeper, Q-ship? COMMENTS Comments Off on Wolf in sheep’s clothing, sleeper, Q-ship? When was the last time you saw a roll bar and venetian blinds in the same car? 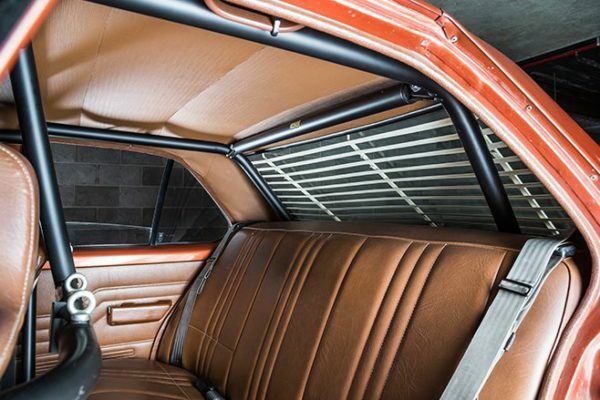 Giving just a small clue as to the many surprises waiting to be discovered in Patrick ‘Paddy’ Gill’s ’76 LX Torana Sunbird, be sure to check out what makes this Torana so unique when you visit the 2018 WA Hot Rod & Street Machine Spectacular. Making 1000hp and chasing an 8sec quarter mile, this is definitely not your mum’s old grocery getter. Site by RagTop Design & TW Creative.